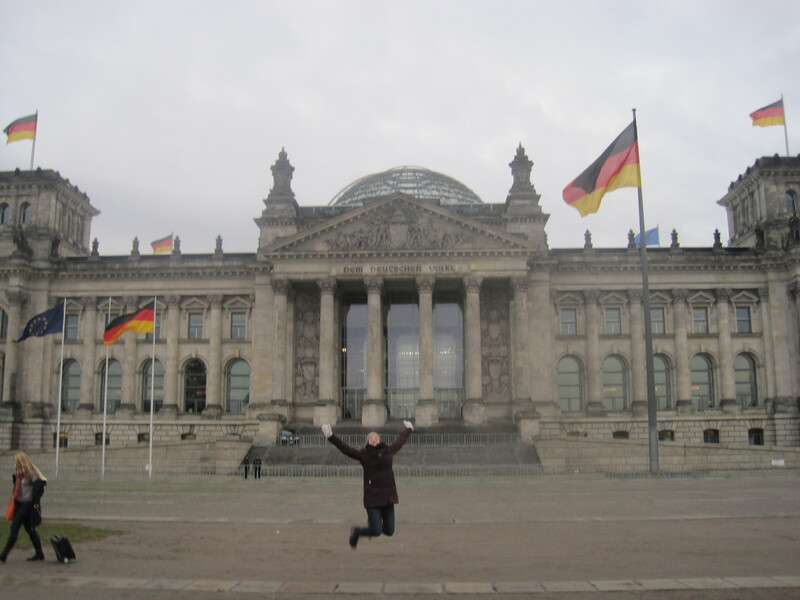 So after I fled Denmark, I went to Berlin! Here’s how it went. 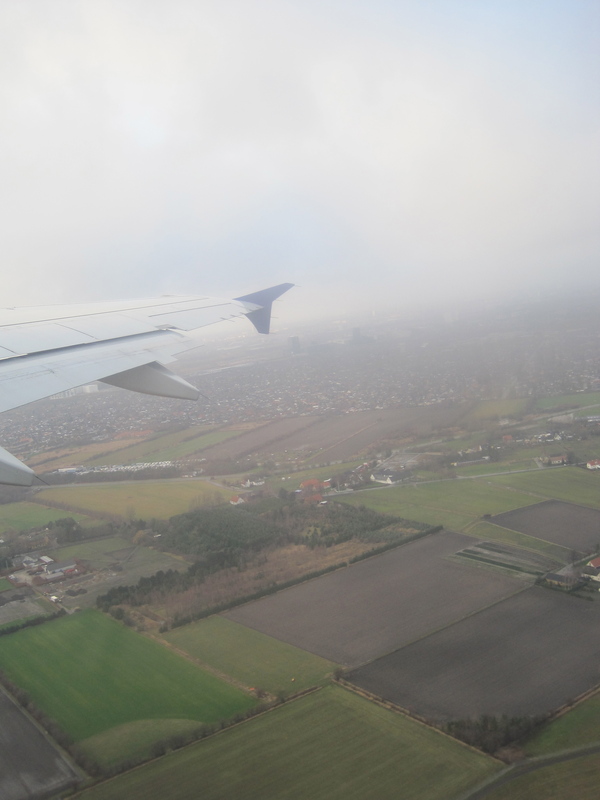 My last view of Denmark. Sunday I had a beautiful breakfast with the host fam, said my goodbyes, and went to the airport, where I said my goodbyes again, and boarded a short, spacious flight headed for Tegel Airport. From there I took a bus and the metro into Berlin, where I found my hostel, checked in, and went to a cute Christmas market nearby at Alexanderplatz. After the Christmas market, I went back to the hostel, which has a sports bar in the downstairs and met some cool people– 3 Swiss boys and 2 Australian girls. We sat and talked and played foosball and then walked to a club. Mind you, this was 1:30am on a Sunday night, so it was totally dead. The boys and one of the girls ended up just chain-smoking in the lounge at the club, so I got home smelling like smoke, but they were fun, so I forgave them for smelling like an ashtray. Monday, I managed to pull myself out of bed pretty early and set out to discover Berlin. I wandered into the Topography of Terror Museum, which is on the site where the SS and Gestapo headquarters were before they were destroyed in 1945. It was kind of a hard, emotional start to the trip, but it was still really a great museum. Then I wandered over to Potsdammer Platz and had a chai latte and a sandwich while I read my book for an hour. I’m reading The Night Circus by Erin Morgenstern and it’s wonderful. Then I went on a free tour, which was long but relatively fun and very informative and I got some good pics and learned stuff about Berlin. 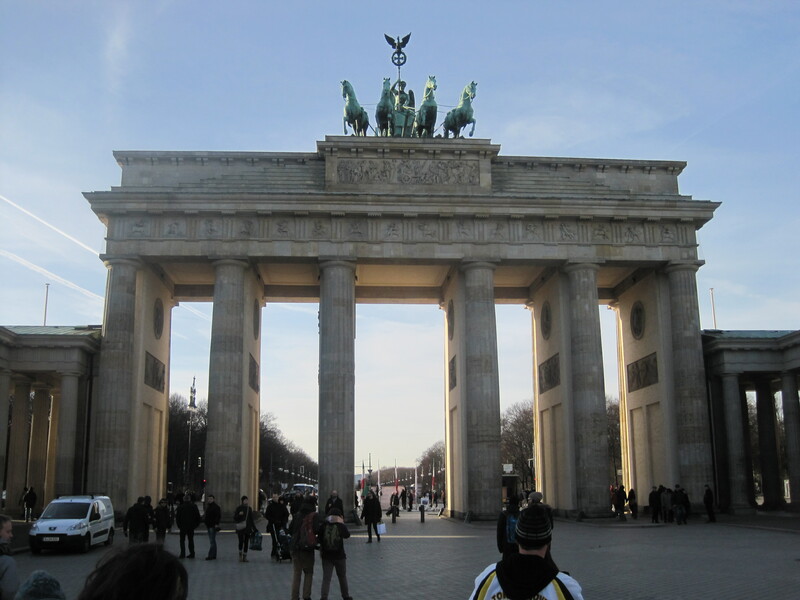 Brandenburg Gate on a clear day. Then I went back to the hostel, and met a Canadian girl studying in Glasgow, Hanna, and we got some baked apples at Alexanderplatz. Later, I hung out with the same group– staying in and playing card games. One of the Swiss guys was really good at card tricks, and told us that he was a dancer and entertainer, somewhat like a cruise ship staff member, which was funny for me. He was quite the character. Tuesday, I got up early for an appointment at the US Embassy to get a document notarized, which was an experience, and I was yelled at in German more than once before I got in. German is possibly the ugliest language to be yelled at in. Horribly angry language. Because of Tobey (the Swiss guy) doing card tricks the night before, I was really tired because I went to bed so late watching the tricks. So after I got some lunch and took a walk, I took a nap back at the hostel. After the nap, I met up with Hanna, who introduced me to three guys she’d met, one Taiwanese and two Aussie, and we hung out at the hostel bar for a long time. Wednesday, after a terrible night of sleep, possibly the worst in my entire life, I finally got up and walked over to the Brandenburg Gate with Hannah for our “Alternative Berlin” tour, which was looking at street art in the Mitte and Kreuzberg neighborhoods of Berlin. 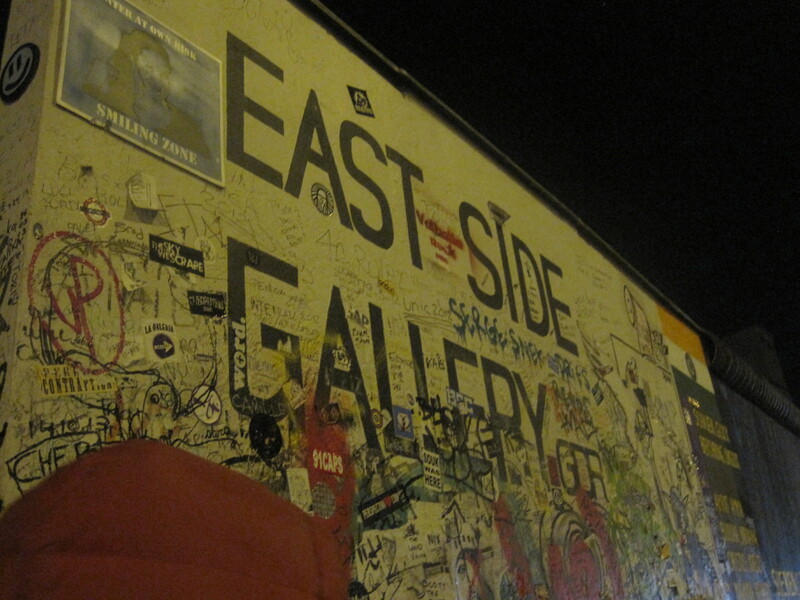 We got to go to the East Side Gallery, which was something I’d been wanting to see. In both the realms of street art and memorial, these are “stumbling stones” and they’re all over the city. 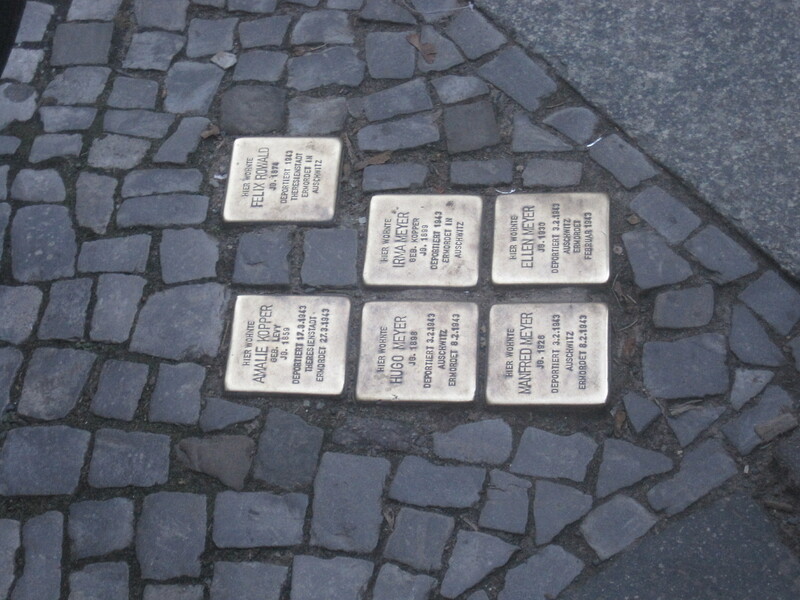 They are slightly raised cobblestones (so you trip) with the names and a little information about the people killed in the Holocaust who lived or worked at the building the stones are placed in front of. 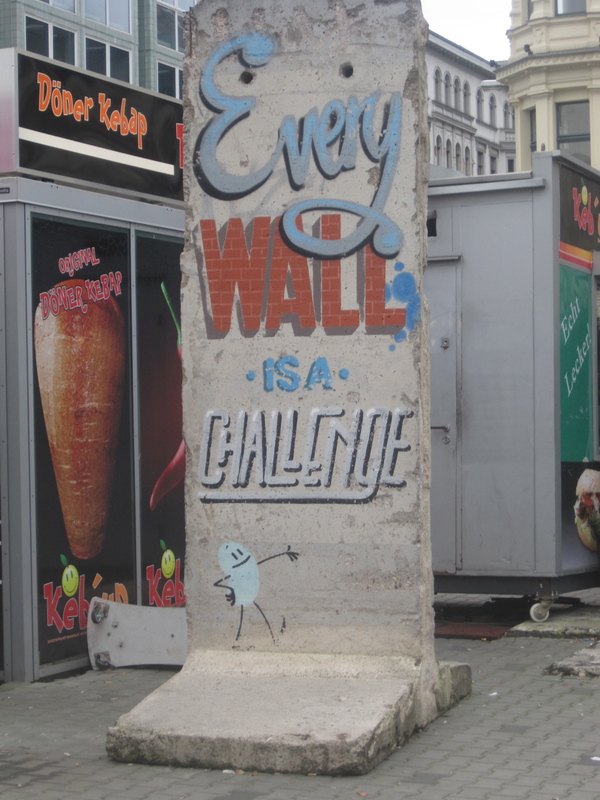 A piece of the wall near Checkpoint Charlie. Hanna and I met two other fun women on the trip, one an Australian woman, Renee, the other a Brit, Monica. Monica is a professional travel blogger, which was so cool! She’s living the dream– her blog is http://thetravelhack.com/. The group of us had some dinner, and then I sat down for some chill me-time starting this post, writing in my journal, and reading my book. I never realized how important taking chill time is on a vacation. Since I’m traveling alone, I should be able to do whatever I want, but not pressuring myself to go all out all the time is not easy. Thursday, I was back up to my regular self, for the most part, as it seems as I’d acquired a cold somewhere along the way. Hanna and Renee and I had breakfast at the hostel, and then went to the Jewish Museum, which I had learned a lot about in my divided cities class of last spring. It’s an architectural wonder, truly, and a quite good museum too. 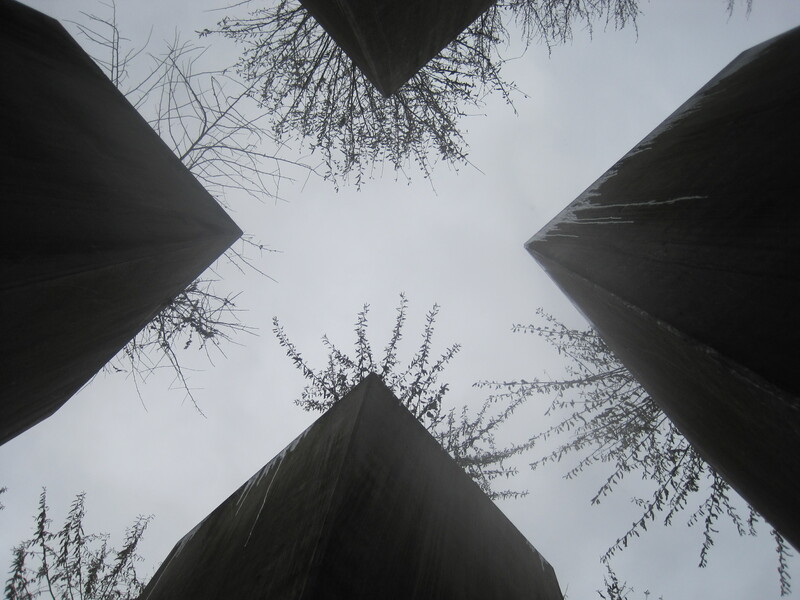 I expected it to be a Holocaust Museum, but in fact it paid tribute to Jews through the history of Germany, which of course included World War II. 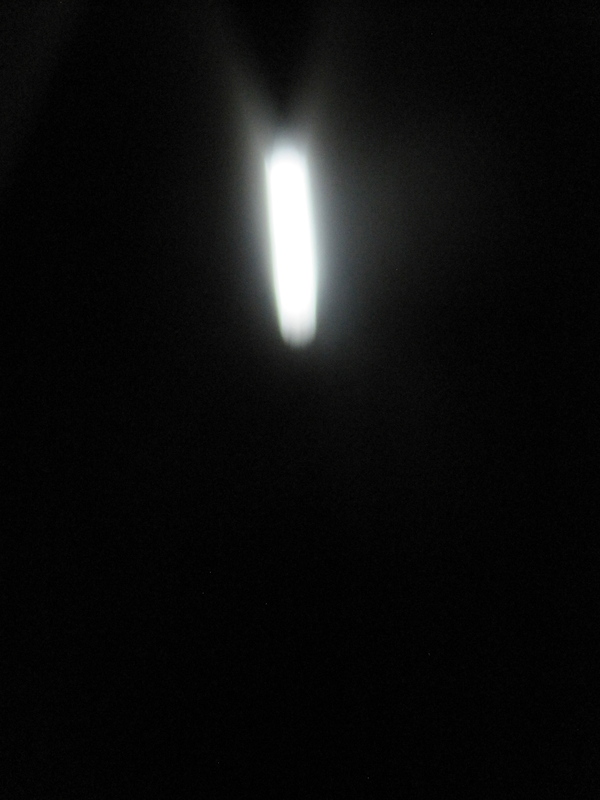 There was a room in the building called the Holocaust Tower (I think that’s what it’s called) which is a door at the end of a hallway, and you walk in, and you’re in a tall, dark, metal room with only a small light in the corner of an upper wall– it’s just a crack of light from a window. And the door slams shut with the most horrible sound, and it’s cold– the room is not heated. And you can hear the street noise and the museum noise but you’re cold and it’s so dark. And if you look around, you realize that there’s a ladder, going from about midway up the wall to the ceiling, but there’s no way to get to the ladder, and it doesn’t really go anywhere anyway. Obviously a really powerful and unique room. 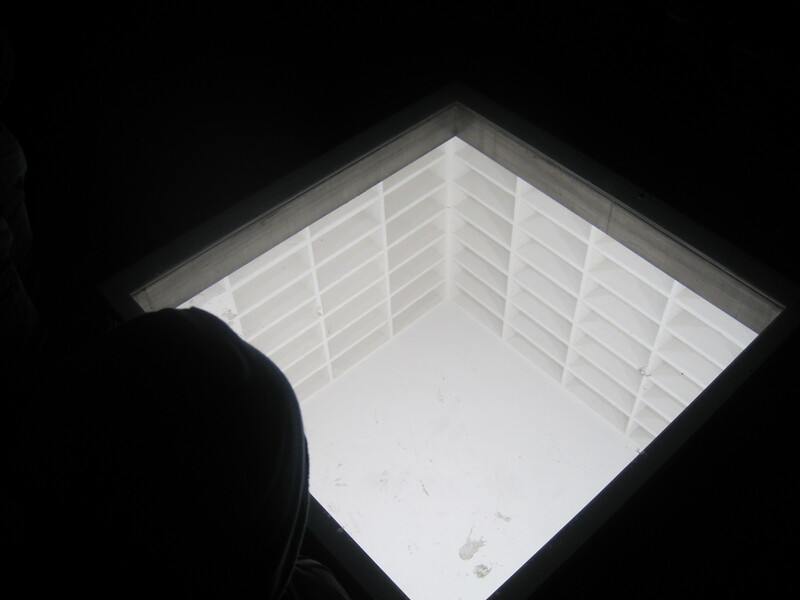 The Holocaust tower from the inside. 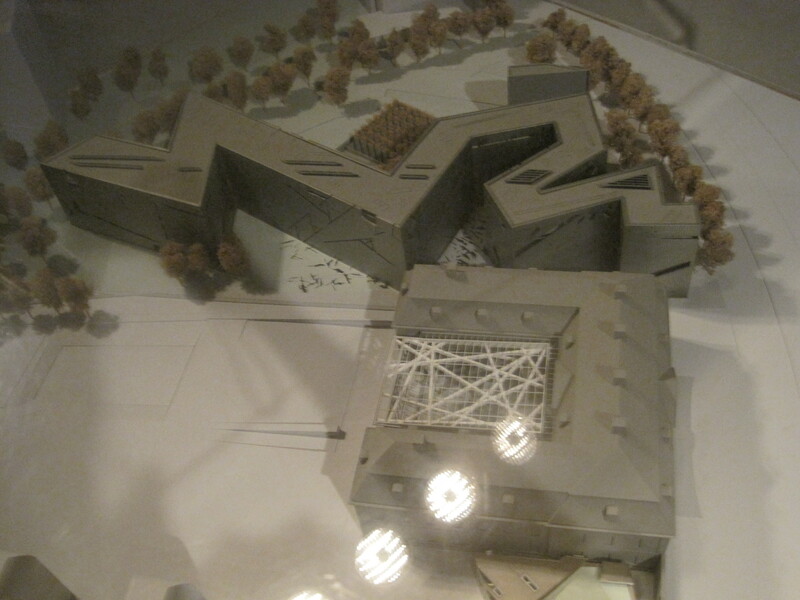 This is a ground-up view of the Garden of Exile, another part of the museum. After the museum, we went for some doner kabab, (which was invented in Berlin) and I got some falafel, but the bread was actually the best part (oh, Germany). Then we pulled a total tourist move and went to the Reichstag building, but we didn’t have tickets to go in, so we just were completely obnoxious in the front part (totally sober, I promise). Nothing screams “I’m American!” like this move in this place. 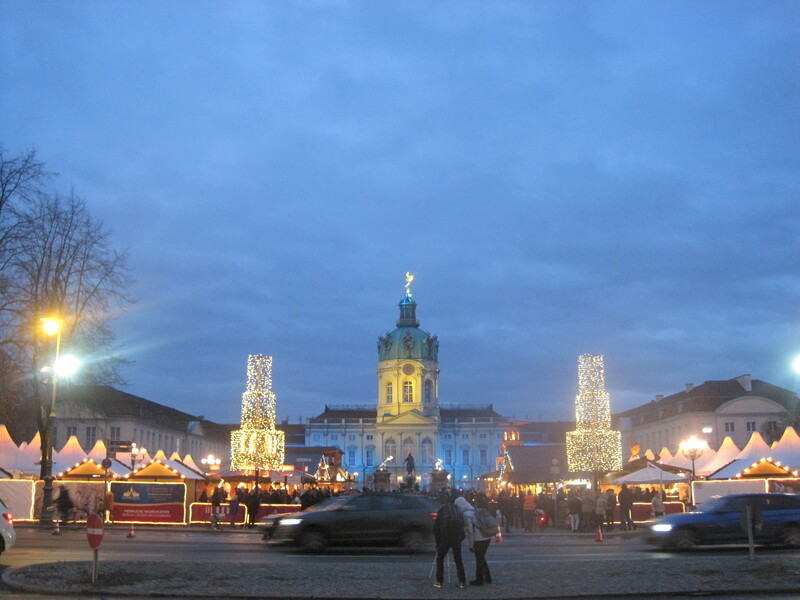 Then, we went over to Charlottenburg Schloss (palace– so similar to Danish) for a Christmas market, as recommended by Patrick, a friend from AU who spent the semester in Berlin and told me about what I should see. It was a great call, and even though it wasn’t as good as Alexanderplatz market for shopping, the ambiance was much better. But then we went back to Alexanderplatz so I could fulfill my dream of buying paper stars and we had some dessert. On Friday morning, the triumphant trio (not sure if that’s going to catch on, but whatever) parted ways– me for Dortmund, Hanna to Cologne, and Renee to Prague. It is entirely possible that our paths will meet again. Why not? Anyway, that was my week in Berlin! 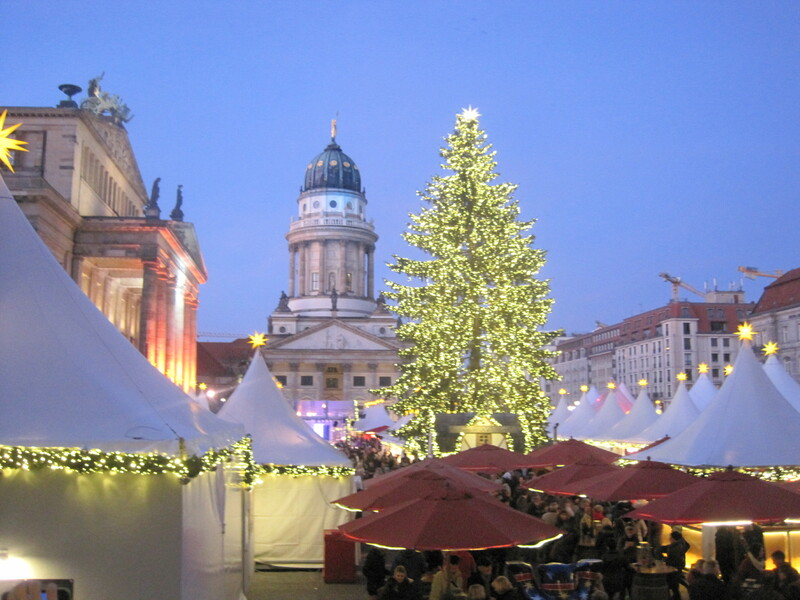 I’m writing this from Dortmund, where I’ve spent the weekend, and will be having Christmas. You’ll hear about it soon, I’m sure. The big day is here, back to America. Paris: Sacre Coeur, Moulin Rouge, Picasso, et moi.